2. For big order, we will arrange Air cargo for your shipment, so it will be much cheaper than DHL, UPS etc. 3. The oher shipping way is also provi according to your requirements, we will provide good cooperation for it. 4. Who do i call to get tracking information if I placed an order9 Our sales staff will provide you with tracking information by email and over the phone. Wuhan Maiwe Communication Co., Ltd.
Research Department With our separate research team,so we are albe to have products made according to your requirements. 3). Qulity assurance Every product will be tested to be of good quality. 2.How about your delivery date9 Foclink: Delivery date is about 3-5days, it depends on the order quantity. 1000M Indicator Light &ldquo;ON&rdquo; means the rate of the electric port is 1000 Mbps, while &ldquo;OFF&rdquo; means the rate is 100 Mbps. 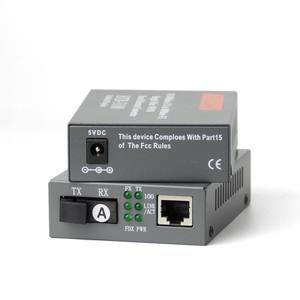 LINK/ACT (FP) &ldquo;ON&rdquo; means connectivity of the optical channel; &ldquo;FLASH&rdquo; means data transfer in the channel; &ldquo;OFF&rdquo; means non-connectivity of the optical channel. LINK/ACT (TP) &ldquo;ON&rdquo; means connectivity of the electric circuit; &ldquo;FLASH&rdquo; means data transfer in the circuit; &ldquo;OFF&rdquo; means non-connectivity of the electric circuit. Q2. Can we get lower price,any discount9 Yes,of course,price can't be the problem; any price will be possible based on the quantity. Q3. Do you have any MOQ9 There is n o MOQ for samples and with our brands products,but we will have MOQ for OEM and ODM. Q10. We are new in this field; can you support us from the solution to products9 Yes,we'd like to support customer grow up. 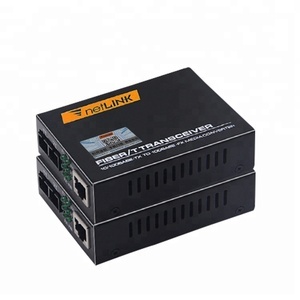 wholesale 100% original 10/100 Singlemode 20KM Duplex Fiber Optic to RJ45 Ethernet Media Converter CCTV Optical transceiver is an Ethernet transmission media transfer unit that switches short distance double stranded electrical signals and long distance light signals Detailed Images Features 1Automatic-compatible with 10Mbps, 100Mbps and 1000Mbps, easy for upgrading network 2Unique IC solution applied 3Supports 10/100Mbps and 10/100/1000M full/half duplex and auto-negotiations ,easy upgrades 4Supports VLAN transmission 5Stable performance more than 50 thousands hours with fault-free 6Different power supply to meet customers&rsquo; requirement 7The largest transmission distance reach 120 kilometers 8Dual or single fiber, multi or single mode, for customers&rsquo; choice 9All interface with thunder and lightning protection 10In conformity with safety code of FCC, CE and RoHS. 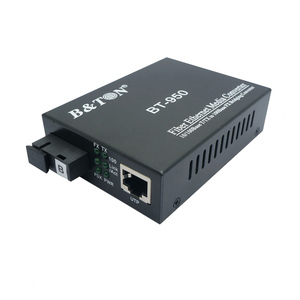 Specification 1 Rate: self-adaptive 10/100M or 10/100/1000M 2 Protocol supported: IEEE802.3/IEEE802.3U etc. 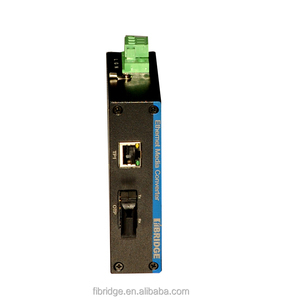 3 Cable type: single / dual fiber 4 Optic mode: single / multimode 5 Transmission mode: half / full duplex 6 Ethernet interface: RJ-45 7 Optic interface: SC/FC/ST 8 Optic wavelength: 850nm, 1310nm, 1550nm 9 Power: 2.5W 10 Power supply: AC220V/0.5A, DC-48 V /0.5A, DC5V/1A 11 Working temperature: 0~50&deg;C 12 Working humidity: 5%-95% 13 Storage temperature: -40&deg;C~70&deg;C 14 Storage humidity: 5%~95%(no-condensing) Product show Certificates Packing & Delivery We are a professional optical fiber manufacturer,If you have any query or want to purchase more cheap and fine product,please contact us. 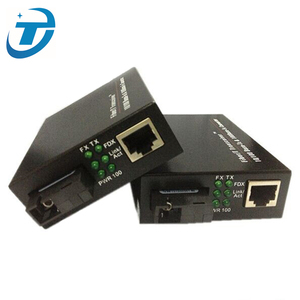 Ethernet Media Converter achieves the interconversion of 10/100Base-TX UTP Cable electrical signal with 100Base-FX optic cable. 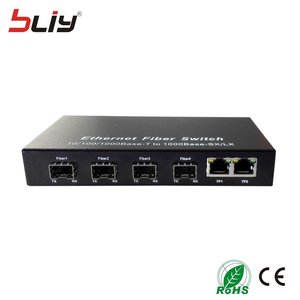 It extends the network transmission range from 100m, the limit of copper Cable, to 120Km on fiber. 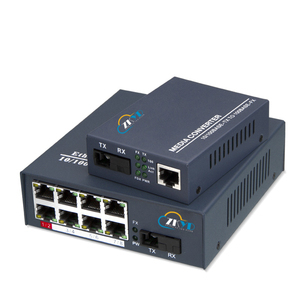 It supports optical transmission under dual-fiber multi-mode, dual-fiber single mode and single fiber single mode. 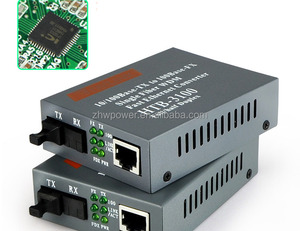 Shenzhen Sitenghui Technology Co., Ltd.
Alibaba.com offers 4,662 fiber optic to rj45 media converter products. 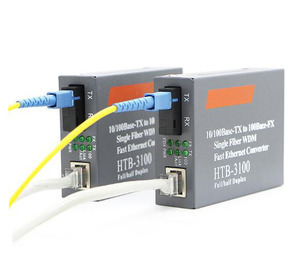 About 95% of these are fiber optic equipment, 1% are connectors. 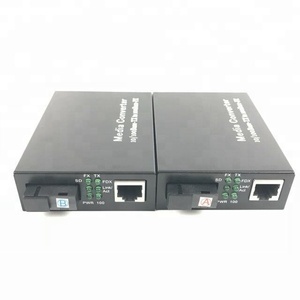 A wide variety of fiber optic to rj45 media converter options are available to you, such as free samples, paid samples. 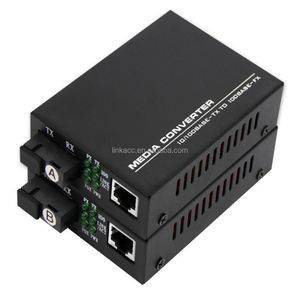 There are 4,667 fiber optic to rj45 media converter suppliers, mainly located in Asia. 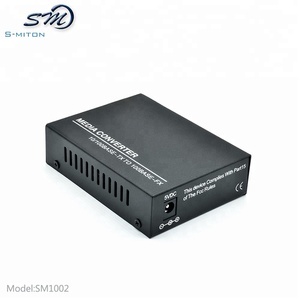 The top supplying countries are China (Mainland), Taiwan, and Poland, which supply 99%, 1%, and 1% of fiber optic to rj45 media converter respectively. 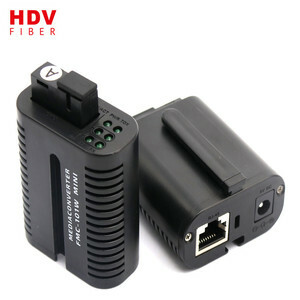 Fiber optic to rj45 media converter products are most popular in Domestic Market, South America, and Eastern Europe. You can ensure product safety by selecting from certified suppliers, including 1,566 with Other, 1,275 with ISO9001, and 46 with ISO10012 certification.